Ever since early 2017, my absolute favorite person Sam has been trying to get any and everyone to listen to Hamilton. This weekend, I finally caved and listened to the first act (second act pending, this musical is damn long) and finally got what the hype was all about. 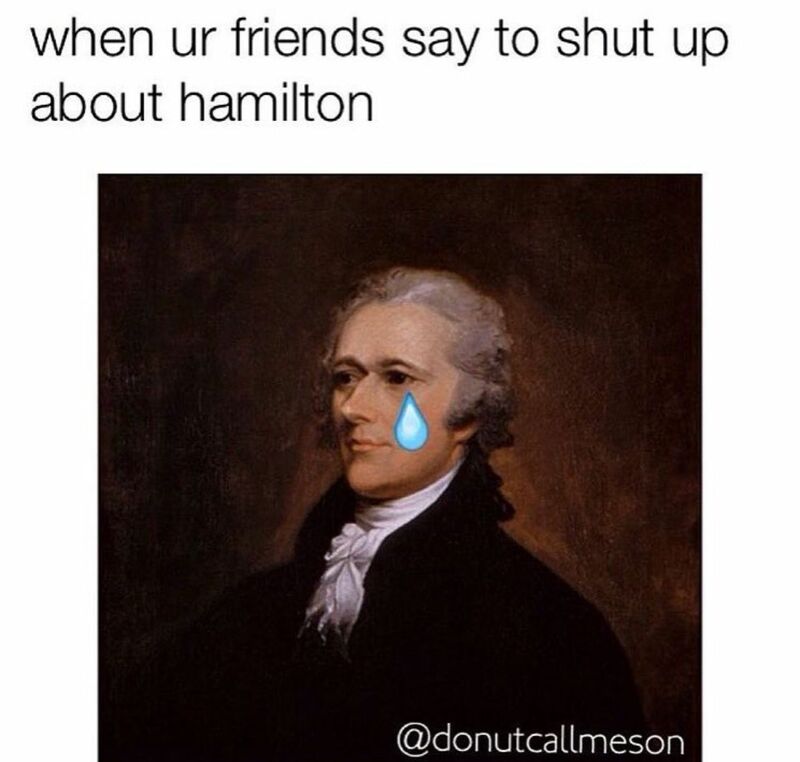 Now that I’m fully indoctrinated into the Hamilton fan club, I wanted to share some of the funniest memes that have made their way into my Instagram dms for the past year, because I finally understand them. If you’re looking for a way to spend literally one million hours of your life (but still have fun), check out the Hamilton soundtrack and work on scoring some tickets to see the show! If you would like to write for Her Campus Mount Holyoke, or if you have any questions or comments for us, please email [email protected]. Lyssi Joseph is a Mount Holyoke graduate who majored in International Relations and minored in Geography. She loved the three years that she served as co-Campus Correspondent for HC Mount Holyoke and is grateful to her co-CC, Deborah, and the amazing members of the team for making these past three years so wonderful. She is excited to follow along and see how HC Mount Holyoke continues to grow and excel. In her free time, she enjoys reading, writing, and napping.